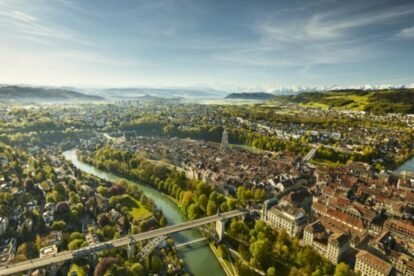 That was how Johann Wolfgang von Goethe described Bern in a letter to his friend Charlotte von Stein during his stay in 1779. …Bern is Switzerland’s Capital City? With the creation of the Swiss federal state in 1848, Bern was declared the capital city. 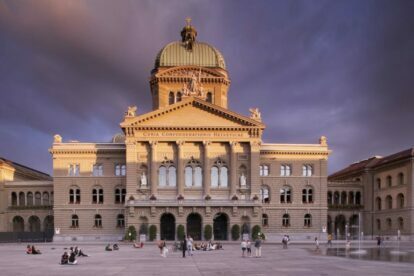 Since then, the Swiss government and parliament have been located in Bern, more specifically in the Bundeshaus (Parliament Building). If you would like to visit the building, free tours are offered in four languages from Tuesday to Saturday (provided there are no parliamentary sessions). Not only is the city of Bern the capital of Switzerland, it’s also a UNESCO World Heritage Site. Its captivating Old Town boasts six kilometers of sidewalk arcades, offering shelter or shade to visitors strolling through the city, and is a true gem of medieval architecture in Europe. In addition to these unique arcades, Bern’s historical townscape (dating back to 1191) is characterized by the Clock Tower (Zytglogge), the Prison Tower (Käfigturm), the sculptural fountains from the Renaissance, the Minster (Münster), and the well-preserved sandstone facades. See it all with a day of shopping in Bern’s Old Town, where you can discover unique bars, cozy cafés, cultural venues, and boutiques in the city’s famous vaulted cellars. …Bern Is Where Einstein Discovered E=mc2? When he developed his famous theory of relativity in 1905, Albert Einstein was living in Bern. Today, his former apartment at Kramgasse 49 is open to tourists. It is furnished in the style of Einstein’s time and documents the life of the physicist during his years in Bern. …Bern locals love to be outside? Who needs the ocean? The cool, clean, deep-blue waters of the Aare river, which winds its way down from the Bernese Alps and through the capital city, is ideal for a refreshing dip on hot summer days. Whether it’s swimming, river surfing, rafting, stand-up paddling, tubing, walking or grilling that floats your boat, the Aare is where summer happens for the people of Bern. A plunge in the Aare is a must to truly experience Bern! The Rose Garden is one of Bern’s most beautiful parks, offering an unrivaled view of the Old Town and the Aare loop. When the weather is clear, the view extends far beyond the city. Not only is the Rose Garden a welcoming recreational area, it’s also the number one selfie spot in Bern! The Gurten is Bern’s local mountain. It stands at 860 meters above sea level and can be accessed by train or on foot. The mountaintop offers a fantastic view across the entire city of Bern and all the way to the white-tipped peaks of the Bernese Oberland. Each year in July, the legendary “Gurten Festival” draws national and international musicians and thousands of visitors to Bern’s “backyard” mountain. Snow-covered mountains, hills and dales are calling! From hiking and biking in summer to skiing and tobogganing in winter, the area surrounding Bern has plenty to offer. Just a stone’s throw from the city, nature and sports enthusiasts can take their pick and revel in the pristine conditions. …Bern Is the City of Bears? Bern has had a close relationship with bears ever since its foundation. According to legend, the city owes its name to the animal. Bears now appear on flags, fountains, and buildings, and can even be visited in the public BearPark. The BearPark is home to the brown bears Finn, Björk, and their daughter Ursina. 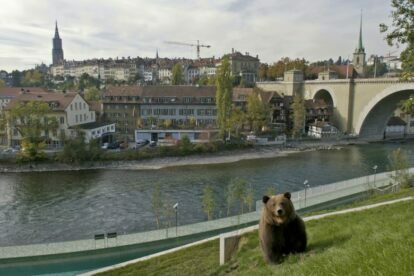 The animals have been living in the new park along the banks of the Aare since 2009. The 6,000-m2 enclosure extends from the former bear pits down to the river’s edge and provides space to climb, fish and play, but also areas for the bears to withdraw and relax. Our tip for an authentic souvenir: a Bernese “Mandelbärli”. These delicious bear-shaped treats are made from almonds and available in countless flavors. You can buy them at almost any bakery in town. 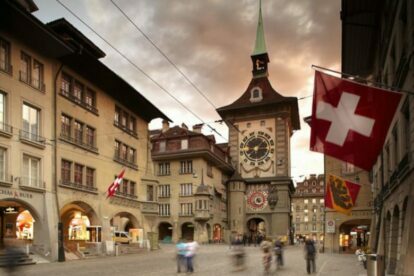 Bern is “the birthplace of Swiss chocolate”. In 1879, chocolate history was made in the Matte, the oldest neighborhood in Bern. In this former chocolate factory, Rudolf Lindt, the son of a Bernese pharmacist, developed the conche technique that resulted in the melt-in-your-mouth chocolate we know today. This has inspired a number of other chocolatiers over the years. 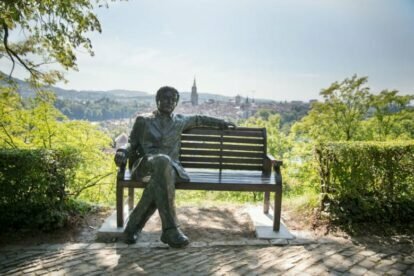 Did you know that Ovomaltine, Camille Bloch and the world-famous Toblerone all have their roots in Bern? Every Toblerone that is sold around the world today is still produced in the company’s factory in Bern. Bern is also the city with the largest number of breweries in Switzerland. 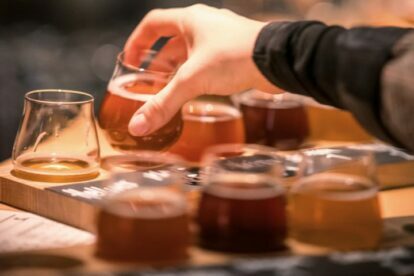 There are around 150 local breweries and microbreweries! In Bern, you will find malting and brewing everywhere, including in garages, back rooms, and even in laundry rooms. With so much creativity and passion, it is no surprise that hardly anyone ever orders “just” a glass of beer anymore in Bern. Some of the bars and restaurants even brew their beer onsite – such as Restaurant Altes Tramdepot and the Barbière in the hip neighborhood of Breitenrain. …Bern Is a Hub for Culture Fanatics? Bern is renowned as a bastion of culture and is home to some of the most important museums and galleries in Switzerland. 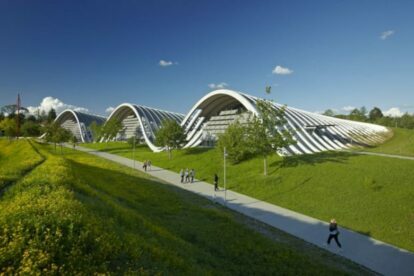 These include Switzerland’s oldest museum of fine arts, the impressive Zentrum Paul Klee, the world-famous Galerie Kornfeld and many other fascinating institutions. The local museums offer innovative and interactive exhibitions and special programs such as “Museumsbier” (why not enjoy a cold beer while visiting the exhibition?) and “Yoga at the Museum”. That’s the common label given to Bern natives. And it’s true. Clocks tick more slowly in Bern than elsewhere. Being in a hurry or having a hectic lifestyle are foreign concepts to the Bernese. But they are not really slow, as other Swiss people may tell you with a wink, they simply know how to embrace the art of living. In this capital of leisure, you can wander around at your own pace, take time to enjoy yourself and celebrate in the open air. So, enjoy a relaxed stay in Bern!